An association with Manchester spanning over 100 years will come to an end this September when Dot Motorcycles Ltd ceases trading from its 1912 premises in Ellesmere Street. 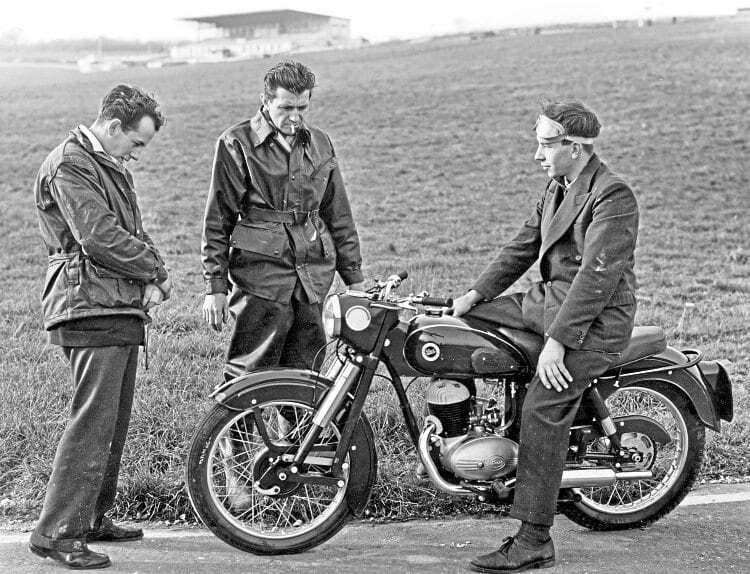 We delve into Mortons’ Archive to give some idea of the surprising variety of road and sporting machinery – all quite Devoid of Trouble – that the firm produced. The 1950s/60s Dot roadsters were cleanly styled, and the front fork made them stand out from the crowd. Dot Motorcycles Ltd can trace its roots to 1903, when Harry Reed started in business as a cycle builder in Salford, but his ambition soon led to the construction of a motorcycle on which he claimed to have set the world record for the flying kilometre at Blackpool in 1906 – and as if that wasn’t enough, in 1908 he won the multi-cylinder class on a Dot at only the second Isle of Man TT. The Dot story is split into two distinct periods, and those of us who remember the firm as merely a producer of cheap and cheerful Villiers-powered roadsters, together with some pretty good trials and scrambling mounts, might be surprised to learn that, until the effects of the Great Depression (the 1929 one, that is!) forced Dot to cease trading for the first time in 1932, it made some superb, powerful and sophisticated machines as well.